Patchy skin, dry flakes, peeling – the woes of dry skin are endless. One of the most significant issues of dry skin is that it is continuously in need of moisturization. This is where facial serums meant for dry skin can help you by keeping your skin well-hydrated at all times. 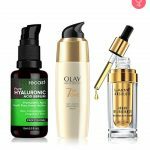 Here are 10 best serums for dry skin available on the market right now. Take your pick! 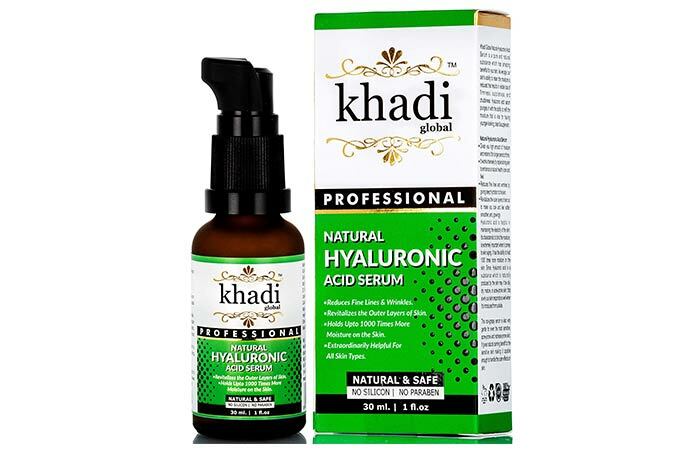 Khadi Global Natural Hyaluronic Acid Serum enhances your skin’s ability to retain moisture. The hyaluronic acid intensely hydrates dry skin to give it a naturally youthful and healthy appearance. It reduces fine lines and wrinkles and revitalizes the outer layers of the skin. It also heals sensitive skin by treating redness, acne, blemishes, and dullness. 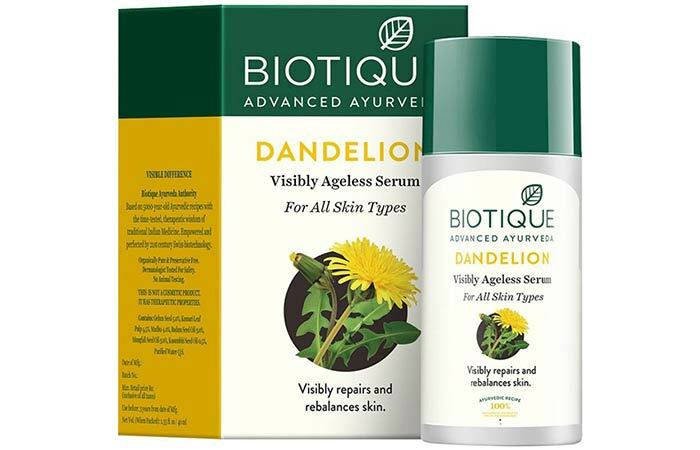 Biotique Bio Dandelion Visibly Ageless Serum is a rare combination of pure dandelion, vitamin E, and minerals, blended with nutmeg oil. These powerful ingredients nourish your skin cells and give you a radiant complexion. Apart from having skin brightening benefits, the serum also helps with microcirculation and cell regeneration to reduce fine lines and dark spots. 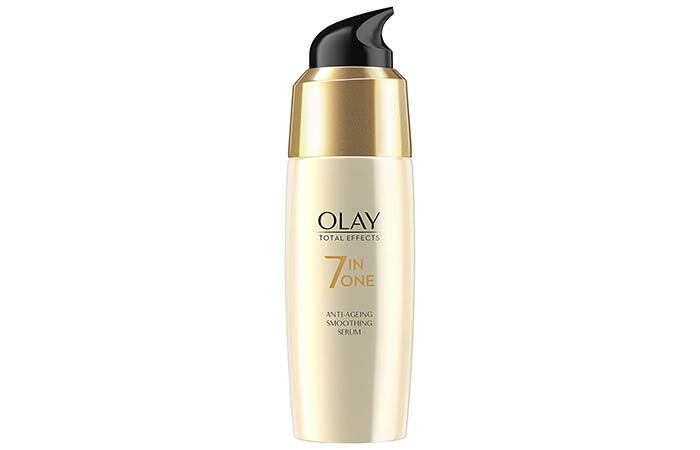 Olay Total Effects Anti-Ageing Smoothing Serum fights the 7 signs of aging and gives you soft, supple, and youthful skin. The serum provides intense moisturization to dry skin and prevents flakiness by keeping your skin well-hydrated. Regular use gives you an even-toned complexion that is free of blemishes and dark spots. The anti-aging formula reduces fine lines and smoothens wrinkles. 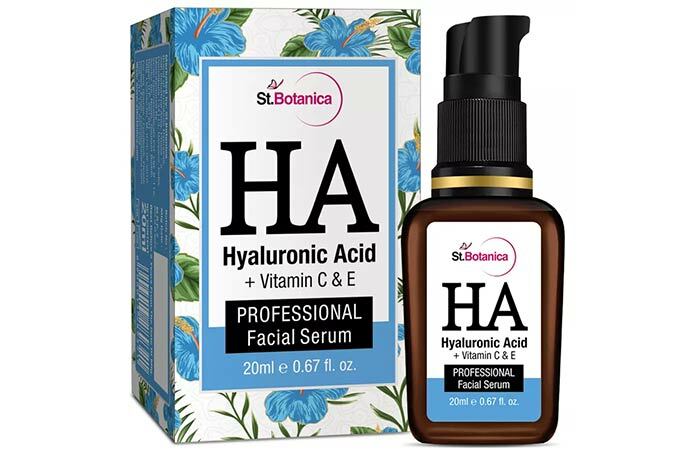 St. Botanica Hyaluronic Acid Facial Serum contains highly concentrated plant-based hyaluronic acid that deeply hydrates skin cells. The serum acts as a natural moisturizer that heals and rejuvenates your skin while eliminating under eye dark circles, face wrinkles, fine lines, and age spots. This serum is also infused with vitamin C, green tea, vitamin E, jojoba seed, witch hazel, and aloe vera leaf extracts. Mixify Unloc Skin Glow Face Serum contains natural plant extracts of mulberry and licorice, along with AHAs and vitamin C. This facial serum helps in reducing dark spots and pigmentation. The active ingredients in this serum have exfoliant and antioxidant properties that work on your skin to reveal its natural fairness. Regular use transforms dull skin by making it brighter and smoother, giving you a radiant complexion. 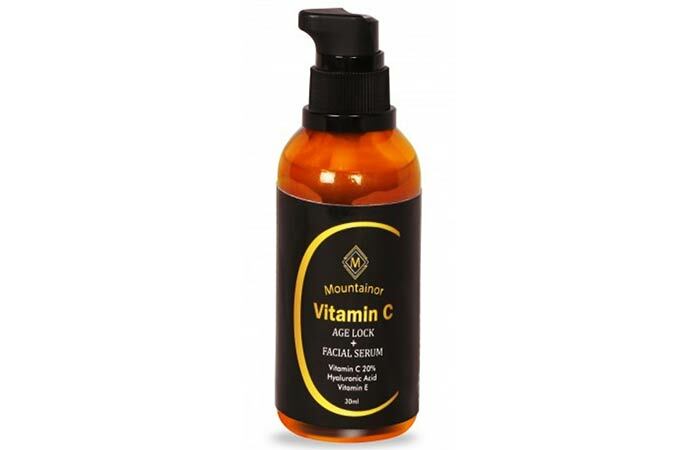 Mountainor Vitamin C Agelock Facial Serum boosts collagen production, improves hydration, and reduces inflammation. It also heals your skin and protects it from UV and free radical damage. The serum contains hyaluronic acid and vitamins C and E, which deliver intense hydration and treat under-eye puffiness and dark circles. Hyaluronic Fix reduces wrinkles, fine lines, and age spots while tightening and firming your face and under eye area. 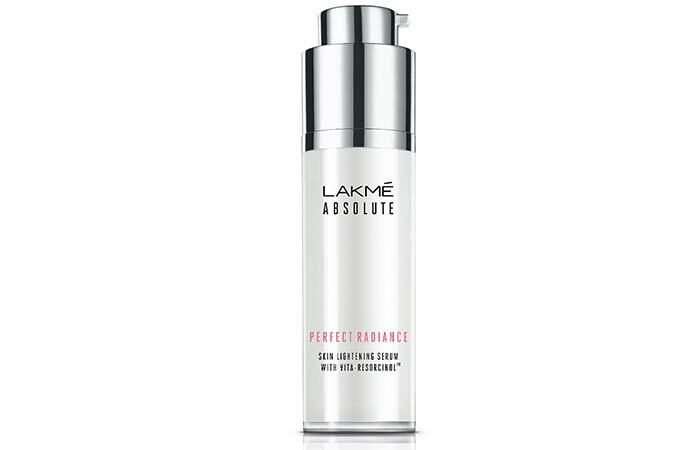 Get a fresh and radiant glow every day with Lakmé Absolute Perfect Radiance Skin Lightening Serum. Two powerful ingredients activate this face serum – Vita-Resorcinol that diminishes the formation and transfer of skin darkening pigments, and precious micro-crystals that are known to gently polish skin to reveal a fair, illuminated look. The skin lightening vitamins give a salon-like boost to your skin. 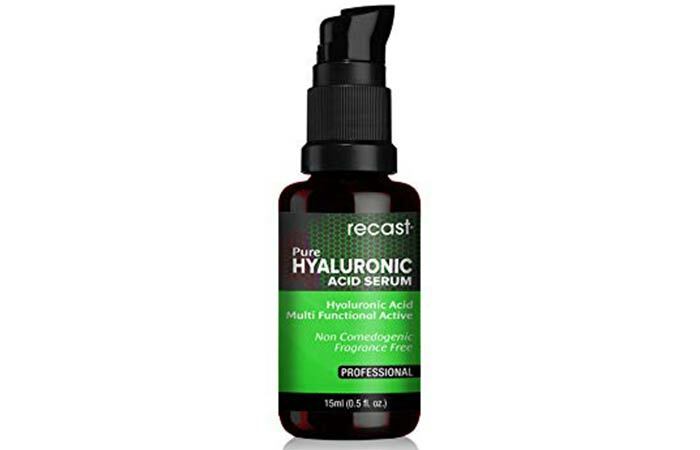 Recast Pure Hyaluronic Acid Serum contains pure hyaluronic acid – a powerful moisturizer and humectant. It replenishes water from the outside and holds water from the inside, helping in improving the hydration and elasticity of the skin. Its regular use enhances your skin tone noticeably by making your skin plump, smooth, bright, and soft. It also boosts the skin’s capacity to heal wounds naturally. 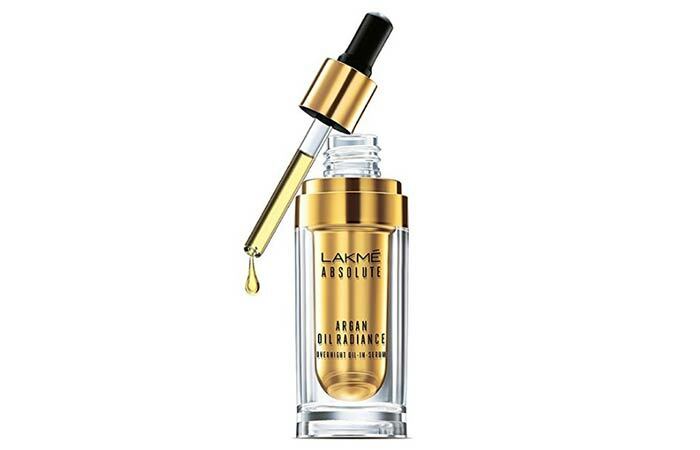 Lakmé Absolute Argan Oil Radiance Overnight Oil-in-Serum is infused with Moroccan Argan oil, which is known to provide superior nourishment. This lightweight concentrate combines the power of a serum with the nourishment of oil. Regular use every night gives you a deeply nourished and radiant appearance. 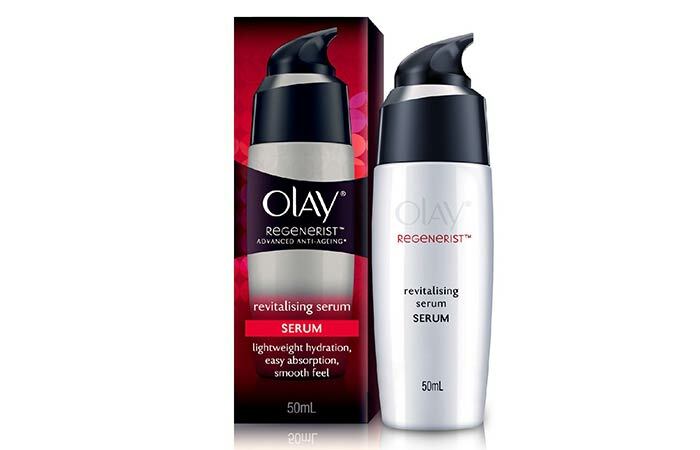 Olay Regenerist Advanced Anti-Ageing Revitalising Serum reduces the appearance of fine lines and wrinkles without the need for drastic measures, such as clinical skin treatments. The formula renews your skin’s outer layer, one cell at a time, helping it to regenerate its appearance quickly and strengthening its moisture barrier. The hydration it provides makes your skin appear firmer and visibly lifted. 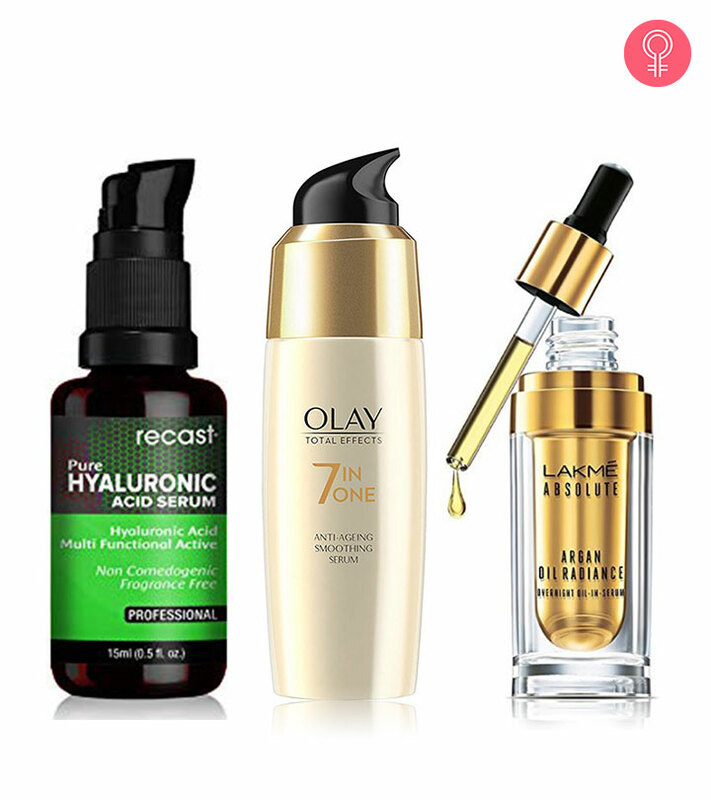 These are the best serums meant to hydrate dry skin. Which of these would you pick? Let us know in the comments section below.